Sukhoi Civil Aircraft Co (SCAC), producer of Russia’s Superjet 100 regional jets has, in the space of a year, tripled the capacity of its maintenance operations at its Zhukovsky Centre (Moscow region). Since the beginning of this year, the facility has completed C-checks, service bulletins and customer requests on more than 20 of the aircraft, reveals Pavel Dyachenko, SCAC’s deputy senior vice-president of aftersales support. The throughput increase has been achieved through a combination of increasing the number of maintenance lines to five, improving the efficiency of the existing operational processes and hiring additional staff, the company explains. “We’re currently servicing aircraft [from the fleets of] Aeroflot, Yamal and other airlines, including government customers,” Dyachenko points out, referring to several new SSJ100 maintenance contracts the provider has won. The Zhukovsky centre is now capable of all modification requirements, including the assembly of winglets, and is planning to continue expanding its capabilities list to include tasks involving composite components and electronic units, Dyachenko adds. 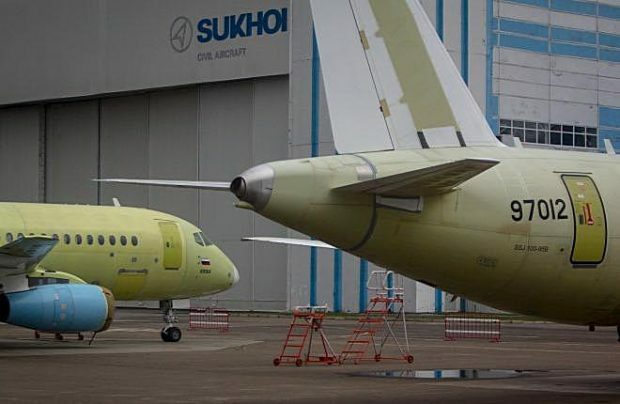 Sukhoi Civil also says it is currently in negotiation with several European maintenance, repair and overhaul (MRO) stations for extending the possible maintenance network for the Superjet 100 in Europe. “We will support any company which addresses us for assistance in obtaining the certificate for the type,” SCAC’s spokesman says. “Our assistance will be in providing the documentation.” As a result of this effort, SCAC last month signed a letter of intent with Slovenia’s Adria Airways for the setting up of a joint venture to provide maintenance services for the SSJ100 at Ljubljana airport. Regarding the expansion of the spare parts inventory and making it more accessible for the type’s operators, Dyachenko says that, in a Russian government support programme, the delivery of an aircraft now includes 115 million roubles worth of supplies of spare parts. Operators may also benefit from agreed bespoke spare parts and engine lease/purchase, or power-by-hour agreements. The latter option has already won several customers. The current component inventory value at Zhukovsky is calculated at 11 billion roubles, and includes more than 14,000 items but, in view of the significant projected increase of the SSJ100 fleet, the manufacturer is now also working on expanding the inventory. In terms of engine support, customer airlines are being directed to the powerplant manufacturer PowerJet joint venture and its Russian partner UEC Saturn, both of which are currently collaborating on stacking a pool of around 40 engines – and are promising to add more engine service slots in 2019. They are also working on measures to improve the engine’s performance. SCAC’s further plan for advancing the aircraft’s aftersales support capabilities includes additional simulator centres, better optimisation of documentation and other measures.